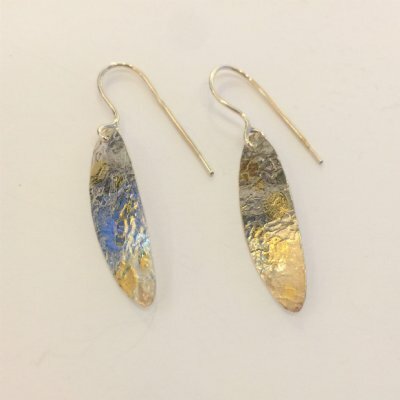 Anne Hanson is a metal smith and jewelry designer who works in a variety of metals, primarily Argentium sterling silver, 14k gold, and Bimetal (18K gold on silver). Texturing and dimension are hallmark style elements in Anne’s unique designs. 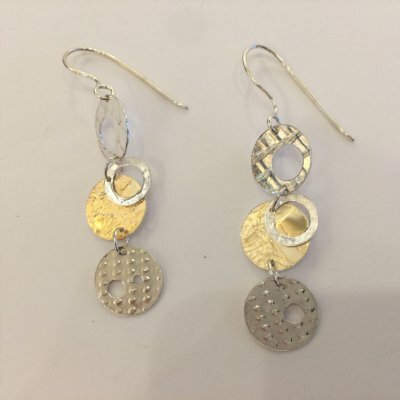 Her line of jewelry is handcrafted solely by her, using traditional smithing methods of forging, roller printing, and soldering. Initially self-taught, she received a B.A. in Art Education from Cornell College in Iowa, with her senior thesis in jewelry and ceramics. In the summer of 2004, Anne suffered a stroke, which impaired her speech and all dominant side motor skills. The Massachusetts Rehabilitation Commission’s Assistive Technology Center helped to modify her studio space, creating methods and tools that make it possible for Anne to work once again. 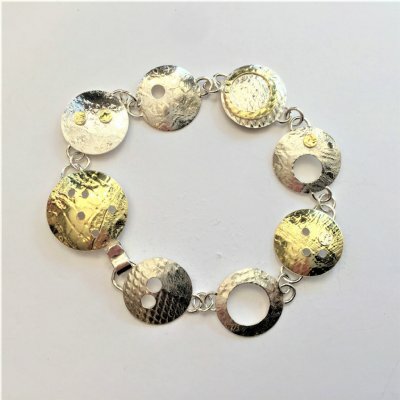 Undeterred by some physical limitations, she works with mainly her left hand, creating intricate and detailed jewelry. 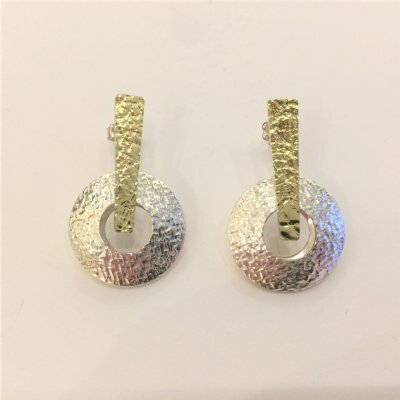 Anne now operates her jewelry business from a home studio in a rural area near Ruckersville, VA, and continues to sell to galleries primarily on the east coast. 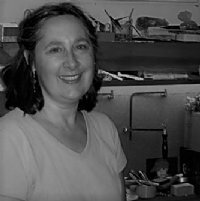 She has earned professional state-jury status in the League of New Hampshire Craftsmen, and in the past, her collection has been selected for Artist of the year Traveling Exhibit.